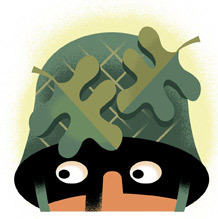 With the resurgence of antigovernment militias has come an upsurge in conspiracy theories. What are these Patriot beliefs? Conspiracy theorizing has flourished as a virtual art form in all nations and across all political persuasions. But the American radical right has to be considered a strong contender for the title of modern conspiracy champion. A vast body of academic literature exists exploring this history, of which Richard Hofstadter's 1964 essay, "The Paranoid Style in American Politics" is the most famous. Hundreds of books and articles have chronicled the rise (and fall) of an unceasing march of disparate conspiracy-based movements that, at different points in American history, have trembled before and warned against imaginary threats posed by Catholics, Mormons, Jews, American Communists, Freemasons, bankers, and U.S. government officials and agencies. Scholars continue to debate the psychological and sociological origins of conspiracy theories, but there is no arguing that these theories have seen a revival on the extreme right in recent years. Over the last two decades, a far-right conspiracy culture of self-proclaimed "Patriots" has emerged in which the United States government itself is viewed as a mortal threat to everything from constitutional democracy to the survival of the human race. This conspiracy revival — which has been accompanied by the explosive growth of Patriot groups over the last year and a half — kicked into overdrive with the 2008 election of President Barack Obama, who is seen by Patriots as a foreign-born Manchurian candidate sent by forces of the so-called "New World Order" to destroy American sovereignty and institute one-world socialist government. Since Obama's election, the constituent theories within the overarching narrative of the New World Order have increasingly made inroads into the mainstream national discourse. Thanks to conservative cable news hosts like Glenn Beck (of Fox News) and Lou Dobbs (formerly of CNN), conspiratorial rants about FEMA concentration camps and the "North American Union" have been beamed directly into the living rooms of millions of Americans. Websites popular with Tea Party conservatives, meanwhile, have further stoked fears of a socialistic one-world government takeover by "un-American" forces. Joseph Farah's WorldNetDaily.com, for example, has grown its influence by peddling paranoia about the president's birth certificate and AmeriCorps' "domestic armies." 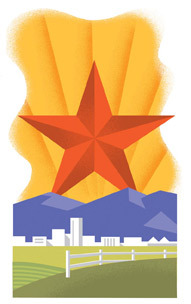 Earlier this year, the John Birch Society, a group with a long history of hatching and promoting wild conspiracy theories (including the idea that President Eisenhower was a communist agent), co-sponsored the Conservative Political Action Conference, an annual powwow of leading conservatives and Republican Party figures. Speakers at this year's conference included such mainstream names as Washington Post columnist George Will, former GOP presidential candidate Mike Huckabee and Republican House Minority Leader John Boehner. Here is a compilation of 10 of the most popular conspiracy theories currently circulating on the radical right and, increasingly, on points of the political spectrum much too close to the center for comfort. In the world of Patriot antigovernment paranoia, New World Order forces attempt to manipulate and control the unwitting population from every conceivable source and direction — from the images on your television screen to the very water that comes out of your kitchen tap. In recent years, the New World Order has been meddling most nefariously from above, high among the clouds. 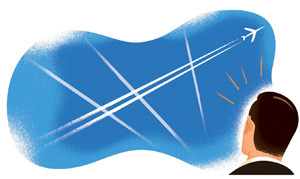 Few Internet-age antigovernment conspiracies have spread as quickly or as widely as the idea of "chemtrails": the belief that air and water vapor contrails that form in the wake of high-altitude aircraft are really clouds of toxic soup being deliberately sprayed by hundreds, if not thousands, of secret government planes executing the designs of the New World Order. What is the insidious purpose of the chemtrails program? It depends which paranoid Patriot you ask. The most popular theories include population control, weather manipulation, and outright human extermination. If, as some cultural historians suggest, the UFO sightings of the 1940s and 50s were the skyward projection of early atomic-age fears, chemtrails are the climate-change-age corollary, with cultural panic over pollution and strange weather mixing with deeper traditions of Patriot antigovernment animus. Hundreds of websites currently peddle chemtrails theories, along with books, DVDs and all manner of survivalist gear. They maintain that toxic clouds in the sky are easily distinguished from normal contrails by their longer duration and expansive dissipation patterns. Most of the spraying is believed to take place at night over the population centers of the NATO countries, especially the United States. Who, exactly, is responsible for the program? There are conflicting schools of thought here as well. But among Patriot groups it is generally agreed that some alignment of New World Order lords — sometimes referred to as the Illuminati — is busy spraying cities and towns with pathogens. In the grimmest of the scenarios, the spraying represents the first of a two-stage depopulation program. Stage one involves spreading pathogens to weaken humanity's collective immune system; once general T-cell weakness is attained, goes the theory, we can expect aerial dispersal of smallpox or anthrax to finish us off. Fear over chemtrails long ago spread beyond the Patriot fringe. Twenty years ago, the buzz surrounding chemtrails had grown to the extent that the Environmental Protection Agency, the National Aeronautics and Space Administration, the Federal Aviation Administration and the National Oceanic and Atmospheric Administration felt compelled to issue a joint "Aircraft Contrails Factsheet." The six-page illustrated report patiently explained the science of contrails, such as the role humidity plays in the variance between how long contrails linger and spread, sometimes forming cirrus cloud cover, and pointed out that they have zero impact on human health. But as these things go, official efforts to confront the conspiracy only fueled its growth. It is today bigger than ever, commanding adherents across the globe. If Patriot groups fear anything more than the water vapor in the sky, it is the imminent imposition of martial law. A longstanding and central plank of the Patriot catechism is the belief that one day — very soon! — federal forces, in league with the states, will suspend constitutional government and institute a police state. During the first few years after the 9/11 attacks, this fear was also discussed on the left. But what was a temporary concern there has long been an absolute certainty on the far right. Today, hundreds of Patriot groups around the country are actively preparing for the declaration of martial law, some of them by mapping wilderness areas, learning how to set booby traps, studying and practicing guerrilla warfare tactics, and setting up short-wave radio communications systems. The question is not if, but when, the New World Order will come crashing down. 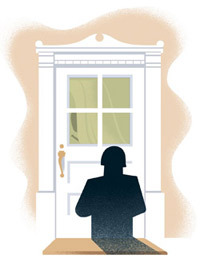 Patriot groups believe the legal groundwork for the inevitable imposition of martial law is being laid in Washington, within the pages of a steady stream of classified National Security documents and directives. At the local level, meanwhile, they suspect town and city governments are also in on the plan, as evidenced by their passing of emergency powers ordinances. Once the legal mechanisms are in place, all that's needed is a "crisis trigger," for which Patriots are constantly on the lookout. Whether this trigger is real or manufactured matters less than the fact that it will succeed in frightening the population into submission and be used to justify suspension of the Constitution. This crisis trigger could take any form. Common scenarios suggested on Patriot discussion boards include economic collapse, followed by massive social unrest; a global (and likely government-created) pandemic; multiple acts of mega-terrorism (again, featuring government collusion); or possibly a fraudulent presidential election, resulting in rioting in major cities around the country. Patriot groups often refer to the unelected junta that will rule the coming police state as a "metropolitan government." This language, like the martial law scenario, has a long pedigree. As Patriot/survivalist Don Harkin explains in the Idaho Observer, a conspiracy rag popular among militia groups: "Metropolitan government was exposed in the late 1950s by Jo Hindman. … [Today] this unconstitutional form of government is being implemented all over the country — particularly in the nation's more densely populated areas such as Chicago, New York, Los Angeles, Portland and Seattle." Once the "metropolitan government" is instituted, most Patriots are certain they will immediately be rounded up and sent to internment camps — which takes us to our next conspiracy. Following the 1995 bombing of the Alfred P. Murrah Federal Building in Oklahoma City by Timothy McVeigh and Terry Nichols, the Senate Judiciary Subcommittee on Domestic Terrorism held hearings on the Patriot/militia subculture that bred and nurtured the bombers. Throughout the hearings, a running theme expressed by Patriots was a fear that "urban gangs," directed by Washington and possibly acting in concert with U.N. and foreign troops, would sweep in from the coasts, confiscate their guns, and round them up. This home-invasion force would hold down the streets during the imposition of martial law, then send the members of Patriot militias to internment camps run by the Federal Emergency Management Agency (FEMA), which most Patriot groups consider to be "the executive arm of the coming police state." This conspiracy has recently surged in popularity, especially after the Senate in March 2009 passed the Serve America Act, the meat of which was a multi-billion-dollar expansion of AmeriCorps, a federal program that employs many inner-city youths in community service jobs. For the Patriot fringe (and media enablers like Glenn Beck), the thought of billions of dollars going to employ inner-city youth evoked images of "domestic armies." Soon, the far-right media was full of warnings about "Obama's brown shirts" and "slavery." The renewed chatter about "FEMA concentration camps" took many forms. Glenn Beck promised to "look into it." Films such as "Camp FEMA: American Lockdown," featuring conspiracy-monger Alex Jones, have been wildly popular on conspiracy-driven websites like martiallawsurvival.com, outselling all previous conspiracy-driven pseudo-documentaries. Aerial photographs, each supposedly showing secret government holding facilities, went viral on the Web. Of course, the photos showed nothing of the sort. A careful review of some of the photographs carried out by Popular Mechanics editor James Meigs made clear that the visual "evidence" was bogus in every instance. For example, a photograph of an alleged secret prison was actually a North Korean work camp. Other photographs showed nothing more sinister than well-known National Guard training centers and Amtrak rail yards. Just as the agencies responsible for air travel and air quality have tried to respond to the chemtrails conspiracy allegations, so, too, has FEMA gone on record reassuring Americans that it has no intention of abrogating the Constitution or rounding up citizens. An internal FEMA memo, however, made clear that agency brass understands the losing-battle nature of trying to quell the conspiracies. "Most people know us as the agency that responds to natural disasters," the memo read. "Others believe we have a somewhat sinister role. For the latter, it is not realistic to think that we can convince them otherwise and it is advisable not to enter into debate on the subject." While "urban gangs" are considered a leading candidate to enforce a New World Order (NWO) lockdown, they are not the only threatening force clouding the Patriot mind. There is also a belief on the radical right that treasonous government officials are colluding with other governments to suppress Americans with the use of foreign troops. Patriots believe this foreign assistance will be necessary due to the patriotism of America's own troops. As explained on the Patriot website libertyforlife.com, many U.S. active military personnel and veterans would likely refuse orders to suppress the rights of their fellow citizens, and so "the US/NWO/UN government is importing foreign troops into the USA to do what US soldiers did to Iraq." Among the many Patriot groups dedicated to resisting this is the Oath Keepers, made up of veteran and active-duty U.S. military personnel. Whose troops, exactly, would be deployed here? Those of whichever allies the U.S. is partnering with at any given moment. For example, Patriot sites were atwitter with news that, in July 2009, FEMA organized a terrorist-response exercise in conjunction with troops from 14 allied countries, including Australia, Canada, Mexico and the United Kingdom. "During the 1950's, the elitists planning for world government made plans to use occupation forces in every country that did not submit to their greedy, arrogant ambitions. Their plan called for using Chinese troops in America… . Now that American soldiers have been used in Kuwait, Somalia, Haiti, Bosnia, and Kosovo, a precedent has been set to bring the red Chinese troops here. The UN could justify such an action if the Black Muslims instigate a race war. I expect this scenario if the Democrats loose [sic] the White House and Congress in the 2000 elections. Comrade Clinton could not be slicker in making himself Commandant of Gulag America." One of the defining features of Patriot/militia subculture is an obsession with firearms. Patriot groups stockpile them, train using them, and, perhaps most of all, worry about losing them. Any attempt to restrain their gun rights is viewed as the thin-edge-wedge of a New World Order crackdown. Patriots believe it inevitable that NWO forces in black masks and jackboots — and possibly UN blue helmets — will one day be sent door to door to take away their weapons by force. This fear is also stoked by mainstream figures within the conservative movement. Wayne LaPierre, the president of the National Rifle Association, a major player in the Republican Party coalition, is the author of a book entitled, The Global War on Your Guns: Inside the UN Plan To Destroy the Bill of Rights. In 2006, Louisiana Republican Sen. David Vitter attached an amendment to a domestic-security spending bill that prohibited the confiscation of legally owned guns during an emergency. The measure passed by a vote of 84-16. Within Patriot subculture, the gun-confiscation fear sometimes dovetails with other conspiracies of an anti-Semitic flavor. Proponents of gun control in these instances are seen as representing a New World Order cabal run by Jews. At the website Real Zionist News, for example, a New York State gun control law aimed at protecting police officers was described as "the first step toward confiscation." According to the site, "The real agenda is to disarm law-abiding GENTILES, whom Zionist Jews fear will soon discover Jewry's anti-American, freedom-hating mission." The Sept. 11, 2001, terror attacks on New York City and Washington, D.C., were seen by both the far left and far right as fitting the bill for an intentional "crisis trigger." In the weeks and months after the attacks, a subculture of "9/11 Truthism" emerged in which the attacks were seen as anything but a simple case of well-trained Al Qaeda operatives flying planes into landmark buildings. Instead, "truthers" argued that the World Trade Center buildings were destroyed by controlled demolitions, that a missile brought down United Airlines 93, and that a missile — and not an airliner at all — struck the Pentagon. Who was responsible? The U.S. government, of course. On the far left, the reason seen for attacking the American people was to justify a perpetual state of war; on the far right, it provided an excuse for the government to, at long last, institute a police state. On both extremes, a distinct current of anti-Semitism runs through 9/11 conspiracies. Especially in the right-wing variants associated with Patriot groups — and in a number of radical-right black separatist group as well — the central agents are often very pointedly described as either high officials of Jewish descent or outright Israeli agents. Another feature of anti-Semitic 9/11 conspiracies is the popular claim that 4,000 Israelis and Jews did not show up for work at the World Trade Center on the morning of the attacks. The origins of that conspiracy theory appear to have come from a statement by the Israeli Foreign Ministry that some "4,000 Israelis" were in the New York and Washington areas the day of the attacks. Here again, we see how a misread or misconstrued fact can be distorted through paranoia and multiplied by the power of the Internet, allowing totally unfounded rumors to travel the globe at warp speed. For many Patriot groups dedicated to the fight against the New World Order — often referred to as "American Revolution II" — the American people have been denied the truth about the 2001 attacks by "the New World Order-controlled corporatist-Jewish media." Of course, when this media does mention 9/11 truther claims, this, too, is seen as evidence of a conspiracy within a conspiracy. For example, when former White House official Van Jones was found to have signed a petition calling for an investigation into truther-related allegations, Patriots saw the subsequent media attention as a ruse. "Our patriot movements are totally being hijacked," said Jeffrey Grupp of the popular conspiracy website AntiMatterRadio.com, "not by infiltrators, but by a takeover of our patriot discussions." That's typical of most conspiracies in the Patriot pantheon: When the mainstream media does not address the conspiracists' allegations, it is proof of their propaganda role. And when they do, it is a sign of an even more sophisticated and perfidious manipulation. For the conspiracy-minded, there is no such thing as an accidental tragedy or historical caprice. Each epidemic, mass industrial poisoning and medical advance (vaccinations, in particular) is just another highly suspicious example of the latest technologies being employed to further the agenda of hidden New World Order forces. When the fluoridation of the U.S. water supply began in the middle of the last century, proto-Patriot groups screamed of a poisonous plot by communists in high places. 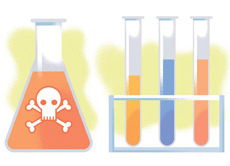 A half century later, when the Food and Drug Administration approved aspartame as an ingredient in numerous food items, the descendents of the anti-fluoride conspiracists sounded yet another poison-ingredient alarm. But even aspartame paled in comparison to the threat supposedly posed by the avian flu virus, which many Patriots, from the late 1990s to the present, believe to be the result of research conducted at the U.S. Army Medical Research Institute of Infectious Diseases at Maryland's Fort Detrick. In the Patriot mind, population control is often intimately linked to gun rights. After all, they say, it was gun control that led to large-scale slaughters in nations as diverse at Idi Amin's Uganda, Josef Stalin's Russia, Adolf Hitler's Germany and Mustafa Kemal Ataturk's Turkey. American citizens, they believe, once deprived of their guns, will be next in line for a slaughter worthy of the history books. What is the point of limiting — or even intentionally decimating — the U.S. population? One Patriot theory says the United Nations wants to create a "biosphere" out of most of the United States, and that eliminating the humans who put pressure on the environment will be a necessary first step. Increasingly, devastating weather events are considered the result of government-engineered efforts to depopulate the country. In Patriot circles, Hurricane Katrina was not only seen as a pretext to begin confiscating guns, but is sometimes viewed as a man-made disaster orchestrated in secret government command centers where sophisticated high-altitude weapons control both the weather and the minds of men. Chief among these weapons is one allegedly operating high above the earth, appropriately enough named after the instrument traditionally favored by mythological angels. This is the "Death Star" of the Patriot conspiracy galaxy, around which so many other conspiracies orbit and often intersect. 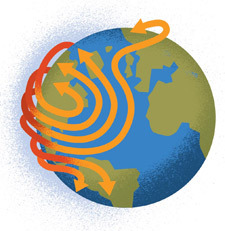 According to the U.S. government, the High-frequency Active Auroral Research Program is a joint scientific research project of the Air Force and Navy, based in Gakona, Alaska, whose stated purpose is "studying the properties and behavior of the ionosphere, with particular emphasis on being able to understand and use it to enhance communications and surveillance systems for both civilian and defense purposes." Few true-blue Patriots believe that — and they aren't alone in their skepticism. Earlier this year, former Minnesota governor and tele-conspiracist Jesse Ventura visited the HAARP site for his TV show in an attempt to probe the official claims and find out "what's really going on." For those enthralled to a Patriot view of the world, the government's description of HAARP only scratches the surface. To the conspiracy-minded, HAARP is a government program tasked with creating secret directed-energy weapons, instruments for weather and mind control, and even potent new methods to cause earthquakes. Predictably, after January's devastating earthquake in Haiti, some Patriot sites noted that the neighboring Dominican Republic was undamaged, leading them to speculate that the U.S. government was responsible and had targeted Haiti alone — ignoring the more relevant explanation that the Republic's capital and major population center, Santo Domingo, was 160 miles from the quake's epicenter. Discussions of HAARP often overlap with the chemtrails conspiracy. Many Patriot sites argue that NATO aircraft are spraying the toxic soup as part of a top-secret HAARP-related weather-modification program, or are refining a new-generation of high-frequency atmospheric weapons developed at the HAARP research center. Any number of wild-eyed (and self-published) introductions to the subject of HAARP are circulating on the web; one example is HAARP: The Ultimate Weapon of the Conspiracy, by Jerry E. Smith. It wasn't long after its creation under Woodrow Wilson that the Federal Reserve System became a central fixture in the world of right-wing conspiracy. It was seen, rightly, as introducing European-style central banking into the United States. It was also seen, this time wrongly, as the latest form of spreading Jewish and banker control over every aspect of American life. 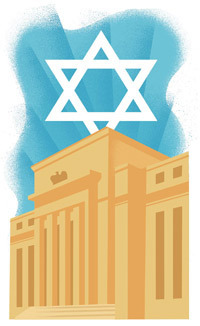 No one did more to promote anti-Fed hysteria in the early years than automobile magnate Henry Ford, who in the 1920s penned a multi-volume, anti-Semitic conspiracy opus called The International Jew, in which the Fed plays a starring role. Ford's modern-day ideological descendants in the Patriot movement continue to view the Fed — without question, an opaque institution to most — through a lens colored by deep suspicion, paranoia, and hatred. For many, it remains the ultimate symbol of New Word Order power, in both Jewish and non-Jewish variants. Nor is anti-Fed paranoia limited to the Patriot fringe. Both the Idaho-based neo-Nazi group Aryan Nations and the black separatist Nation of Islam have claimed significance for the fact that the Federal Reserve System and the Anti-Defamation League both were founded in 1913. In May 2009, a group of leading radical rightists convened on the South Georgia key known as Jekyll Island, where 100 years earlier bankers and government officials first hashed out plans for what became the Federal Reserve System. This meeting played a key role in launching the current resurgence of militias. Less than five months into the Obama Administration, the Jekyll Island conclave warned of "increasing national instability," worried about the coming New World Order, denounced secret schemes to merge Canada, Mexico and the United States, and furiously attacked the President Barack Obama's "socialized" policies. Which leads, appropriately, to our final top conspiracy. Since the passage of NAFTA in 1993, fears of economic dislocation and loss of sovereignty have animated both sides of the political spectrum. On the left, these fears are centered on the growth of transnational corporate power at the expense of U.S. labor and national policy. In some circles on the right, the trade bill is seen as the beginning of the so-called "North American Union" (NAU), the goal of a secret plan to merge the United States with Mexico and Canada and, in the process, eliminate sovereign government for each country. It is also a dominant conspiracy theory animating the hard-line anti-immigration movement, which overlaps heavily with Patriot territory. As proof of the NAU plot, left- and right-wing conspiracy theorists typically point to the Security and Prosperity Partnership (SPP), a series of working groups between the countries of North America to study regulatory cooperation in transportation, energy, aviation, the environment and more. To many adherents, participants at these meetings plot how best to send millions of Mexico's citizens to the United States, erect international courts designed to overrule and undermine American law, and pass continental hate crime laws that will send anti-gay Christian preachers to prison, and more. As with so many conspiracies, the NAU plot is often inflamed by real news items that are seen as vastly more significant than they really are. This is especially true when the news items involve traditional New World Order bogeymen. 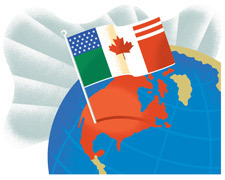 In 2005, for example, when the Council on Foreign Relations released a document entitled "Building a North American Community" — calling for exploring the idea of further integration of Canada, the United States and Mexico — Patriot sites responded as if the report were a New World Order directive, spelling the imminent end of national sovereignty. Alexander Zaitchik is a former Intelligence Report staff writer and free-lance journalist based in New York. His first book, Common Nonsense: Glenn Beck and the Triumph of Ignorance, has just been published by John Wiley & Sons Inc.